Japanese confections have been developed throughout a long history. 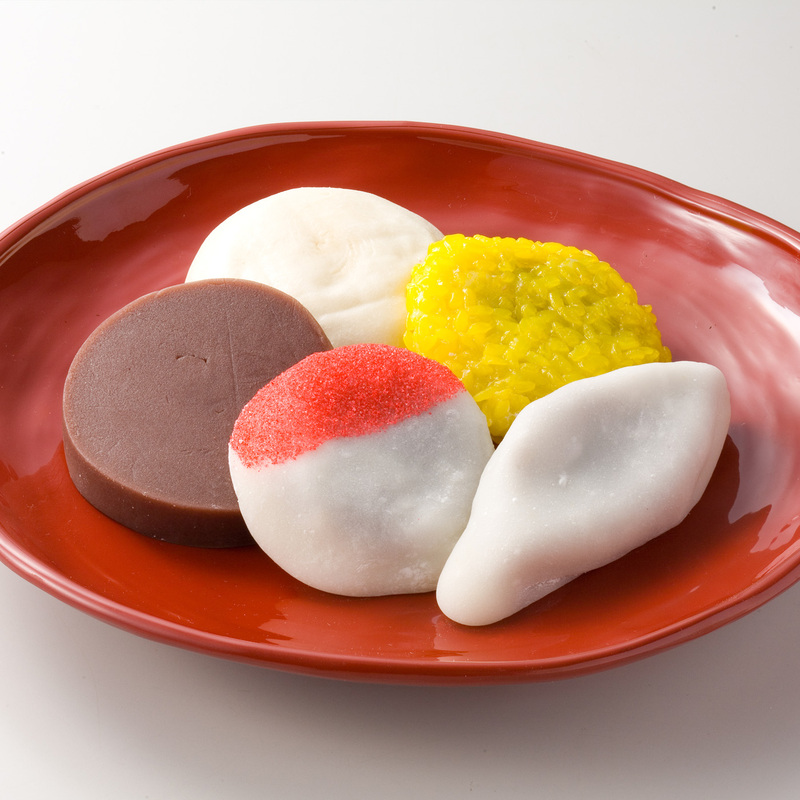 These include rakugan, a mold rice-flour candy; yokan, a bar of sweet jellied adzuki bean paste; daifuku, a soft glutinous rice cake stuffed with adzuki bean jam; and manju, a wheat bun stuffed with adzuki bean jam. 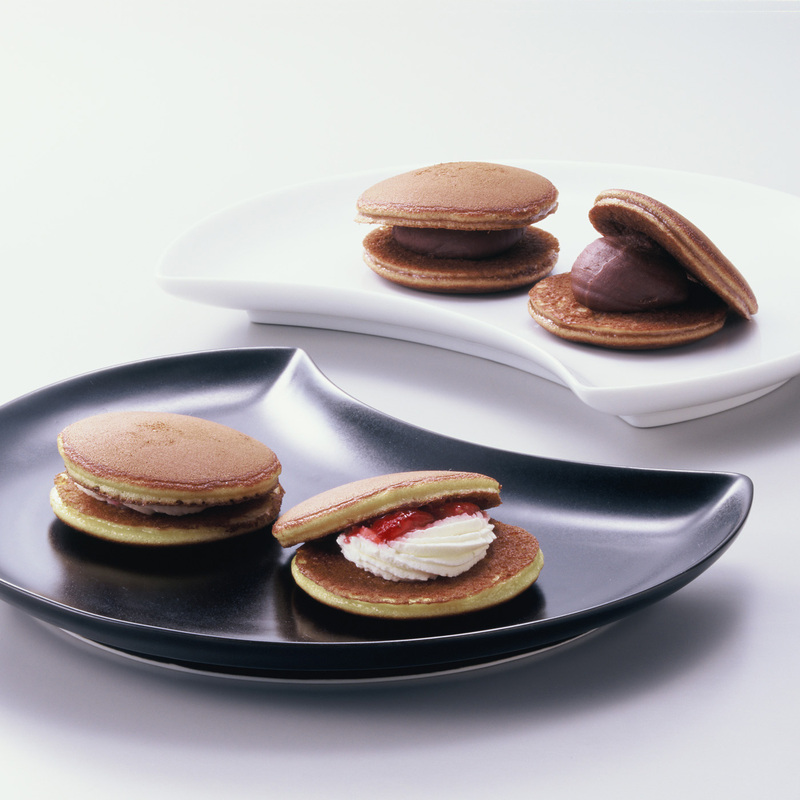 Examples of representative Japanese confections include senbei, baked rice-flour crackers; monaka, azuki bean jam sandwiched between two thin crispy wafers made from glutinous rice; and dorayaki, adzuki bean jam sandwiched between two round pancake-like sponge cake patties. 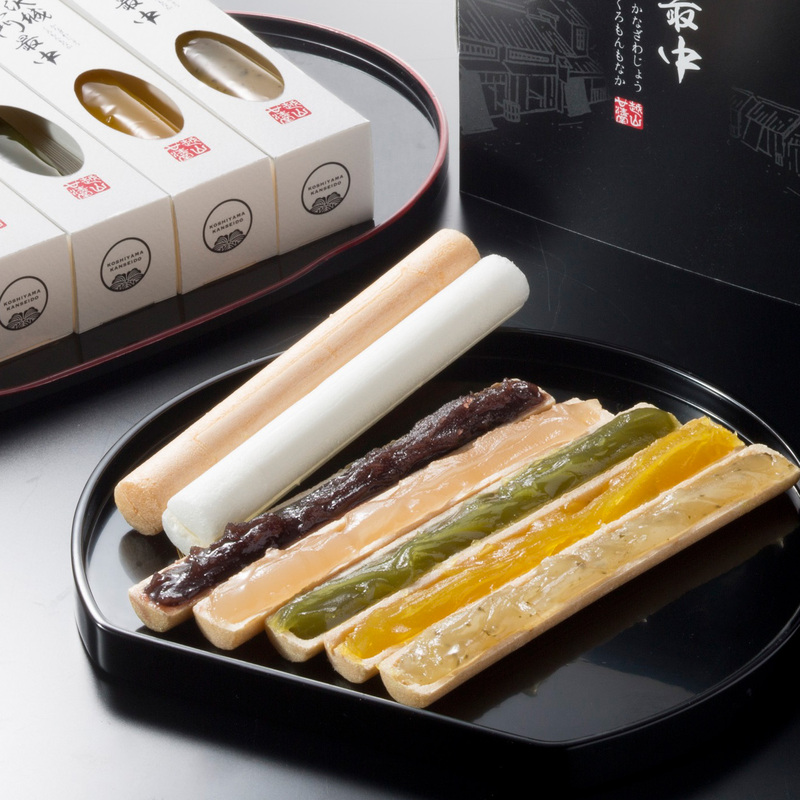 Although there is no specific definition of what constitutes a Japanese confection, our products are made using traditional ingredients such as adzuki bean jam. Currently, many modern types of Japanese confections have also come to be made using combinations of various ingredients. However, Japanese confections are if high quality since they are made with natural ingredients such as grain and beans, granting them with superior taste and high nutritional value. Such foods may have functional effects on people’s health, so we must take care in preserving this goodness. 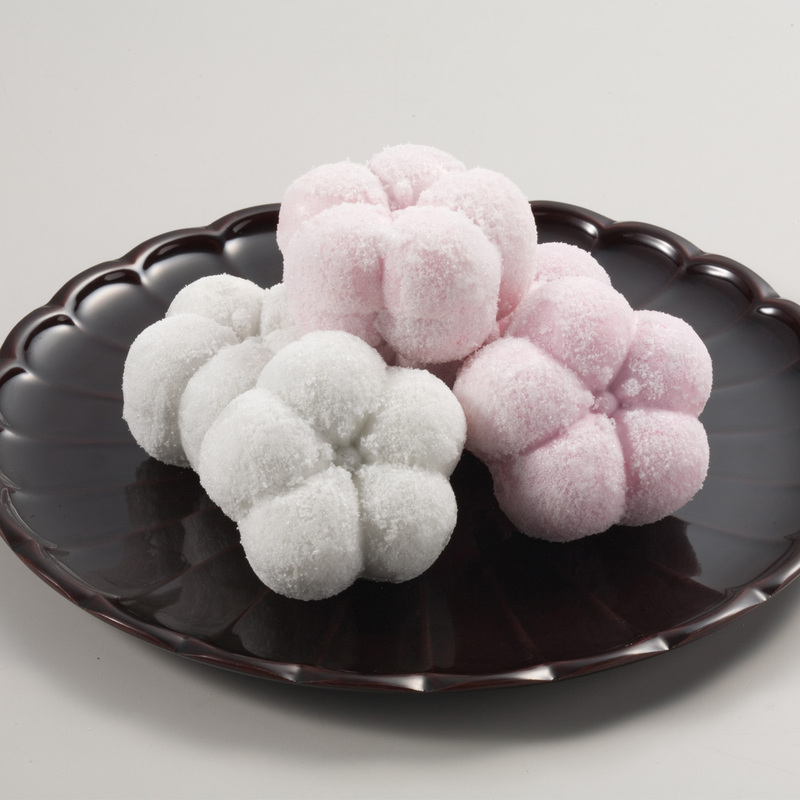 Kanazawa is known as one the three best places in Japan for quality sweets. Reasons include the fact that the area has an active tea ceremony tradition; the area is blessed with local agricultural products; there is a well-developed culture of making offerings due people’s strong religious faith and the presence of many shrines and temples; it is near towns famous for the production of wooden molds used in the production of sweets such as Inami in Toyama Prefecture; and the culture of hospitality is deeply entrenched. In terms of history, such sweets unique to Kanazawa were first created as Himuro Manju, a manju that is traditionally eaten in summer on July 1; Goshiki Namagashi, a kind of manju offered on such occasions as weddings and ridgepole-raising ceremonies; and Fuku-ume, a plum blossom-shaped confection with adzuki bean jam sandwiched between two pieces of delicate sugar-encrusted glutinous rice wafers that is a staple during the new year’s holidays. Kanazawa City was part of one of the largest feudal provinces of Japan, and is a castle town where the atmosphere of the past has been preserved. In this old town, you can still see an abundance of water flowing in channels the castle site, as well as many shrines and temples. Various traditional performing arts have also been handed down, and it is an exceptionally cultural city. Over its long and continuous history, a wide variety of confections have been created that suited to each season and time of year.